​If you would like to register your child, please speak with Dean John, or Rose Cooper at (609) 588-5114. We welcome members of the congregation who would like to teach or assist, or perhaps share a special interest or talent, to contact us! Let the bells ring out, let the New Fire be lit - and let the Hunt commence! On Sunday, April 21, after the 10:30 am service, we will host our annual Easter Egg hunt for children up to age 12. Weather permitting, the littlest ones will meet in the Cathedral Memorial Garden and the older children will meet at the front lawn of the Cathedral. We are in need of eggs and fillers! If you are willing to donate, we request that items fit inside a standard size plastic egg. Suggestions include candy, pencil erasers, stickers, coins, small toys, mini stampers, bracelets or hair bands. We also are happy to collect SMALL baskets with handles to share with our children to use. There will be a box in the Cathedral Office beginning on March 31 for your donations! Thank you for your support! Trinity’s Adult Education programs promote intellectual adventure and spiritual inquiry in the true Anglican spirit. 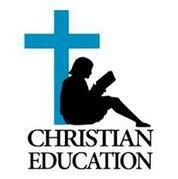 Activities include book study groups and interfaith forums. New programs from the Adult Education Commission will be listed here as they are offered. Our traditional Lenten Series is a series of presentations based on various spiritual teachings. Topics have included: “Spiritual Heroes - featuring a conversation with Krista Tippett and Joan Chittister on Frontiers of Faith,” “Embracing a Life of Meaning - featuring A Conversation with Kathleen Norris,” and “God For Us! : Lessons from the Great Vigil of Easter”. 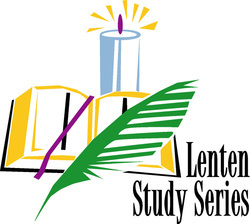 Typically, we have five weekly sessions; each one begins with an (optional) Stations of the Cross in All Saints’ Chapel at 6:00 pm, followed by a soup supper at 6:30 pm and our Lenten program immediately following. Presentations have included audio and visual components, small and larger-group study, and have been led by both lay people and clergy. Details on our Lenten Series, as it is scheduled, will be found below. All are welcome!